Licensed Practical Nurses (LPNs) provide direct care services to the sick, injured, disabled, and convalescent under the guidance of physicians, registered nurses, and other healthcare practitioners. LPN training programs are shorter than the training for other careers paths n healthcare, so it’s an attractive option for adults who need to transition quickly into a new career. According to the Bureau of Labor Statistics, the future is a bright one for prospective LPNs in Arkansas. The career promises emotional and financial rewards, attractive compensation packages, and job stability, especially in nursing care facilities and home health care. The Arkansas State Board of Nursing requires new nurses to obtain a license by examination after successfully completing an approved nursing education program and the subsequent NCLEX-PN. Arkansas is a member of the Nursing Licensure Compact (NLC). Therefore, the ASBN will issue a multistate license to qualifying candidates, which grants them eligibility to practice in other NLC states. There are approximately 25 board-approved practical nursing programs in Arkansas. The programs prepare students for licensure as licensed practical nurses to provide entry-level services as a member of a multidisciplinary team. The training is available at colleges, universities, high schools, and private facilities where faculty use live seminars, interactive lab sessions, and clinical experiences to prepare graduates for success on the NCLEX. Collaborative group work and ongoing assessments also ensure students get the most of the training and improve their chances of success on the licensing exam. Admission to the nursing program is a competitive process as nursing schools turn away hundreds of qualified applicants every year. Admissions depend first on your attendance of the orientation session and your results on an admissions evaluation and interview. Other eligibility requirements include official high school transcript or GED scores, proof of immunization, a physical exam, drug screen, and a criminal background check. The school may also request proof of Basic Life Support for healthcare professionals and completion of prerequisite courses. The course curriculum will cover human anatomy and physiology, nutrition, geriatrics, basic nursing concepts, math for nurses, maternal-child nursing, medical-surgical nursing, mental health, pharmacology, and laws governing the practice of nursing in Arkansas. Clinical experiences performed under the guidance of an experienced faculty member will give credence to each module covered in the classroom. At the conclusion of the program, graduates will be prepared to provide quality care in a multicultural environment, plan and deliver personalized care across lifespan, practice as a member of a multifaceted health care team, communicate effectively with patients and members of the healthcare team, demonstrate accountability for professional practice by operating within the legal, ethical, and regulatory guidelines. The ASBN determines a candidate’s eligibility to take the NCLEX, and may restrict licensing of candidates with a history of civil or criminal legal action. Duration and Cost of Training: The 2015-16 tuition and fee rate to complete a practical nursing program in Arkansas is $6,700 for resident students. The cost for uniform, books, and other supplies totals about $3,300. Full-time students can complete the training in three to five semesters, depending on the number of credits completed in each semester. The advertised duration for many programs depends on students following the courses outlined in the program catalog. Your need to complete prerequisite courses (in some instances) can extend the length of the program. The estimated cost of attendance does not include tuition for foundational courses and the need to retake courses to earn a passing grade. The NCLEX is a computer adaptive exam that tests the knowledge, skills, and competencies of entry-level nursing practitioners. Passing the exam is one of the final steps for licensure as a licensed practical nurse. To be eligible for the national exam, you must be a graduate from an approved practical nursing education program or an international program that is “substantially similar” to Arkansas nursing programs. If you completed a specific portion of a registered nursing education program, you might also be eligible to take the NCLEX-PN. You may register for the exam and licensure in Arkansas at the same time – at least two months before you graduate from the nursing education program. Registration for the NCLEX is available online, over the phone, and via postal mail. The registration fee is $200. The Board will confirm your eligibility to take the exam after reviewing your application for licensure, official transcripts, and the results of your criminal background check. Pearson Vue will send the Authorization to Test letter (usually via email) once the Board approves. The letter will provide instructions for scheduling the test within 90 days. It is important also that you read the Candidate Bulletin for instructions on registering for the exam, scheduling a test date, and an overview of the exam content. 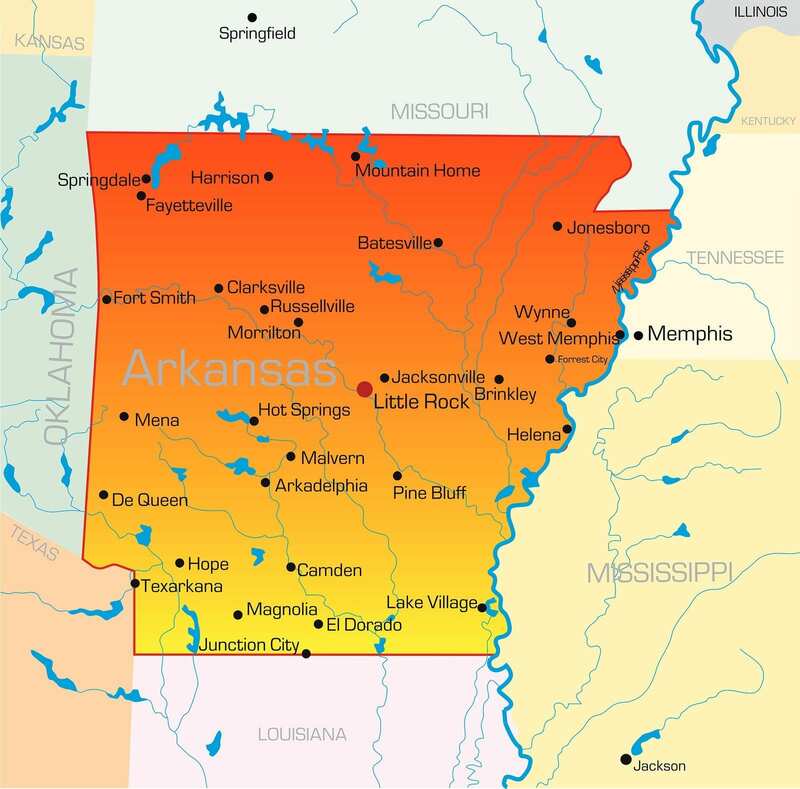 There are numerous Pearson Vue centers around the country and three testing sites in Arkansas – Fort Smith, Little Rock, and Texarkana. You can take the exam at any other testing location around the country for licensure in Arkansas. Testing centers administer the exam six days a week and 15 hours a day based on demand. You can retake the exam every 45 days if you fail. There are no restrictions on the number of times you can retake the exam. You must submit a new application and application fee for every retest. The exam results should be available within 24 to 96 hours. If you pass the exam, the ASBN will issue your license if you meet all other requirements for licensure. The Arkansas Nurse Practice Act requires practical nurses along with other nurses to obtain a license from the Arkansas State Board of Nursing before practicing. An optional temporary permit is available to graduates of approved training programs. The permit gives graduates the option to practice after graduation until they receive the results of the NCLEX. A temporary permit is also available to endorsement applicants with active licenses in another state. To request the optional temporary permit, you must select the option as you complete the online application for licensure. There’s an additional fee of $25 for the temporary permit, which is valid for 90 days only and is not renewable. The Board will not issue the permit until you complete the registration requirements with Pearson Vue, and the results from the criminal background check are available. LPNs with a multistate license from a compact state (must be their primary state of residence) may practice nursing in Arkansas without acquiring another license. A criminal background check is another requirement for licensure by exam. The applicant must bear the expense for the exam and pay the fee during the online application process. Applicants found guilty of (or pled guilty or nolo contendere) offenses listed in ACA 17-87-312 are not eligible for state licensure. The background check requires the collection of your fingerprints on a Board-provided card, which is them submitted to the Arkansas State Police Department. After submitting your application and payment online, the INA Search ID will be available on the payment receipt. Write the INA Search ID on the fingerprint card before submitting to the ASPD. The Police Department will not process your fingerprints without the INA Search ID. If you respond “yes” to any of the criminal history questions or have a positive criminal background check, an investigations offer will have to review your case before the Board makes a decision on your request for licensure. You must submit an explanatory letter along with certified copies of all relevant court documents to the Board of Nursing. Attach the documents to the cover sheet available during the online process, and mail to the ASBN. You may submit your request for licensure up to two months before your expected graduation date. Pay the non-refundable application fee of $75 with a credit card or e-check. You should print a copy of the payment summary for your records. Make note of the INA Search ID for completing the criminal background check. Provide your social security number, which is required from all applicants. Register for the exam with Pearson Vue. The Board will not process your application until you submit an application for the NCLEX and the $200 fee. Provide a physical mailing address to receive communication from the Board. 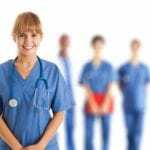 Arkansas is a member of the Nurse Licensure Compact, so residents will qualify for a multistate license that will give them the authorization to work in other Compact states. Provide a valid email address. The ASBN will send an Automatic Acknowledgment of your online application and payment receipt after you submit the application. If you graduated from a Board-approved nursing program, the school must verify your graduation using a secure electronic verification process. Graduates from out-of-programs must use a Verification form to confirm their nursing education. The school should complete the form and send your official transcript, indicating the type of degree, directly to the ASBN. You may use the Check Status of Application link on the Board’s website to track your application’s progress. Arkansas became a part of the NLC in 2000. LPNs with an active license from another compact state do not have to obtain a license to work in Arkansas. Employers must verify a prospective employee’s license through Nursys, or another means before the individual begins practicing. 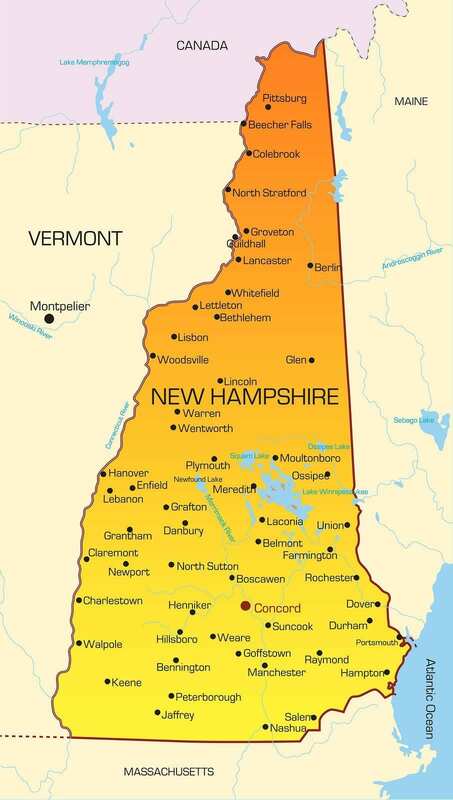 LPNs with a license from a non-compact state must apply for licensure by endorsement. Pay the non-refundable $100 application fee using a credit card or e-check. Print a copy of the payment summary for your records and make note of the INA Search ID – needed for the criminal background check. Include your social security number and physical address to receive communication from the Board. Provide a valid email address to receive an automatic confirmation of your online submission. Submit verification of your license to ASBN using the Nursys by submitting a request online. If your state does not use Nursys, you must print the ASBN verification form and mail to the licensing agency in the state of original license. Include your license number, full name, and current address and ask the licensing agency to complete the form and return directly to the ASBN. Evidence of at least 1000 hours active nursing within a one-year period prior to submitting the application. Evidence of completing an approved nursing education program within one year of the endorsement application. Evidence of completing an approved refresher course within one year of the endorsement application. Other evidence requested by the Board. You may be eligible for a temporary permit if you submit the application, fee, and proof of age/certification, and verification of your active license from another state. The 60-day temporary permit is non-renewable. According to the Nurse Practice Act, LPNs must renew their licenses biennially to continue practicing. You may reinstate your license if you did not practice during the preceding licensure period as long as you submit a request, the renewal fee, late penalty and complete the continuing education requirements. If you do not renew, you will remain in good standing with the Board as long as you do not practice. However, you must meet all the ASBN’s requirements for reactivating your license. If you don’t renew your license by midnight on the renewal date, your license will expire, and any subsequent nursing activities will be considered unlicensed practice and subject to disciplinary actions and a civil penalty. You must renew your license online. The ASBN allows renewals up to two months prior to your license expiration date. Your license will expire on the last day of your birth month. The renewal fee for LPNs is $65. Arkansas is facing a shortage of health care workers, including Licensed Practical Nurses. The shortages will worsen as baby boomers retire. The aging population will increase the demand for health care services that include care for persons with chronic diseases. Health care reforms that provide health insurance for previously uninsured persons will also increase demands for health care services. The US Department of Health estimates that the population in Arkansas will grow by 12 percent between 2000 and 2020, and the elderly population will grow by 68 percent within the same period. 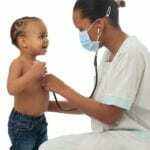 Unfortunately, the supply of LPNs and other nurses are not sufficient to keep up with the needs of a growing population. A 2011 study on Arkansas Healthcare Workforce revealed that unfavorable work environments, financial constraints, alternative job opportunities, and limitations in available space in nursing education programs all contribute to the shortage of nurses. In response to the survey, hospital administrators offered attractive compensation packages to attract qualified professionals. At the same time, nursing education programs opened additional spots to help curb shortages in the industry. In 2014, there were an estimated 772 vacancies for LPNs – the highest for health care professionals. With the current state of health care in Arkansas, your choice to become an LPN is an excellent one, as you’ll benefit from immediate employment, fair compensation, and job stability. The median hourly wage for Arkansas LPNs is $18.06 hourly, which translates to a median annual salary of $37,560. Do you know what the average teas test score is at this location? Teas,test is the exam taken for entrance into the program. 11month Program in Hot Springs at National Park College! Check us out!!! No. Any person who works in a medical field has a background check. Where are they getting taken away..the only place MA can work around here is Doctor’s offices. They aren’t licensed. They did have a program at Voc tech in Forrest City, Ar. Tonya L Wallace, we were talking about this last night. Terri Steed would you share this with Kelsey Deon. I would go to be a RN!!! I was a LPN for 36yrs and was disabled from all the hard work of lifting!!! I had 5 back surgeries and 1 neck surgery!!! The RN’s sat at the desk and gave orders!!! !